Our outreach team shares tea, prayer, and friendship with local people who are not able to come to our tea events. 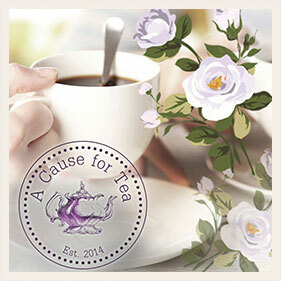 A Cause for Tea is on a mission…we aspire to empower women and children, demonstrating God’s love one teacup at a time. There is a sense of timelessness and familiar warmth when one considers the brewing and sharing of tea. For centuries, the ceremony of gathering, pouring, and sharing has persevered in the light of our thirst for sharing and giving friendship. And there is something wonderful that occurs when friends gather around a shared cup of tea…the ceremony of sharing stories, of sharing something of ourselves with our friends. In seeking opportunities to achieve our mission here at home, we happened upon loneliness. Loneliness right here in the midst of community. We have found women living in senior living facilities who seldom experience the joy of having a visitor. There is a feeling of isolation and loneliness that disempowers. 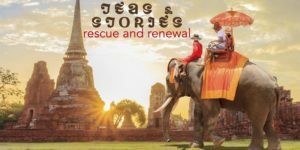 We envision replacing the cold weight of loneliness with the simple and weightless warmth of tea and a smile.A Cause for Tea’s newest initiative is “Tea for Two”. 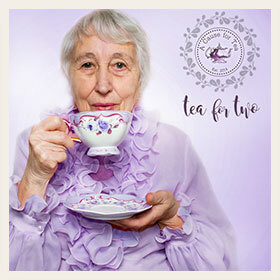 We intend to share tea and stories with elderly women who still long to share in the ceremony of gathering with a friend and connecting in life. A Cause for Tea provides a special tea set for our “Tea for Two” team featuring a special blend of tea designed specifically for our “Tea for Two” friends. Want to help with Tea for Two?